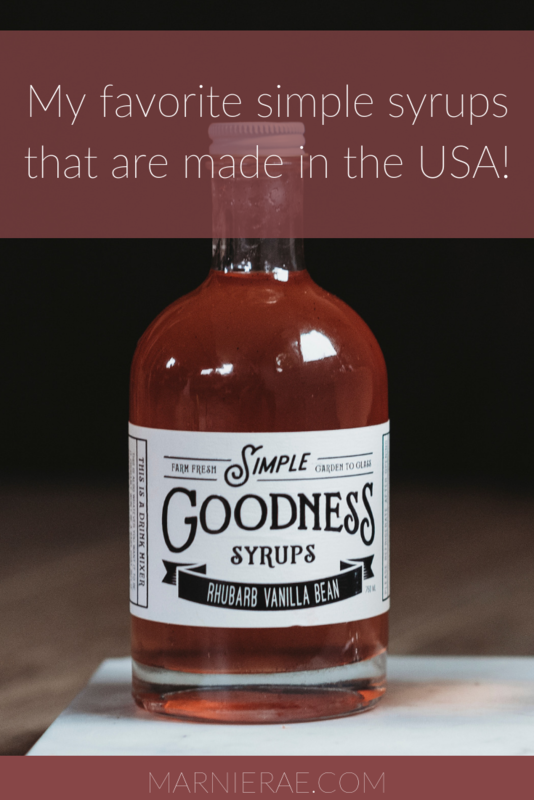 Now that it's spring time, I thought it was the perfect time to bring you a round up post of my favorite simple syrups—and even better, they are all made in the USA (most of them are even manufactured in the PNW!!). Portland Syrups is one of the coolest companies I have encountered. I encourage you to check out their website and read the process and ethos tab— it is way too cool and well written to paraphrase, so please just check it out. You can purchase my favorite syrup right here. Sisters and business partners, Belinda and Venise share a huge passion for garden to glass style drinks. Belinda is the owner of Happy Camper Cocktails, a mobile bar that offers those delicious simple syrups and much more. Venise owns the farm in which some of the herbs Happy Camper uses in their delicious syrups and drinks! In our Marnie Rae Sparkling Emilia mocktail, we use the Rhubarb Vanilla Bean syrup! Jack Rudy Cocktail Co. is family run in South Carolina and Kentucky with a goal to take great American bar staples and reinvent them. Jack Rudy products are made in small batches and distributed to bars and restaurants around the states! Check out their collection of syrups here. Small Hand Foods is owned by Jennifer Colliau, a Bay Area bartender of 18 years. She prides herself in handpicking classic ingredients for pre-prohibition era cocktails. While some products are available year-round, other products are seasonal and subject to availability so check them out and snag your favorites while you can! Sonoma Syrup Co. is dedicated to crafting healthy indulgences for your entire family—using certified organic ingredients and recyclable packaging to ensure deliciousness and sustainability, a win-win. Oh, and they give back to several organizations! My favorite syrup is this one.